Starting seeds inside have proven the best of times and the worst of times for me. I've tried it twice with tomatoes. The first time was when I lived in South Dakota, growing the seeds in an indoor, north-facing window. I bought a starter kit and ended up with 60 healthy tomato plants that bore lots of tomatoes. It was a great experience. 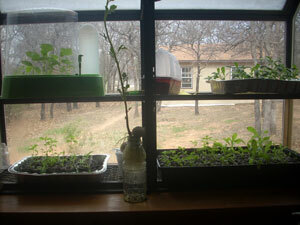 Then in Oklahoma I tried starting seeds indoors again, this time using our greenhouse window. The seeds again grew, but they developed purple leaves and were sickly looking. I eventually put them in my garden, but they never amounted to anything, so I sheepishly went out and bought tomato plants to take their place. Our local farmer's supply place had them at an excellent price, and I swore I would never start tomatoes from seeds again. I realize now that my greenhouse window was too cold, so this year I am going to start my seeds on a counter in my kitchen under a grow light and also use a heating mat specially designed for starting seeds. While I don't plan on growing tomatoes from seeds, I'm not opposed to trying other things, and plant to start broccoli and maybe some flowers from seeds. I have always wanted to grow stocks in particular. They were in my wedding bouquet and I have always had an emotional attachment to them. Unfortunately, they have a hard time surviving our hot summers, so I plan to keep a pot on our back porch. 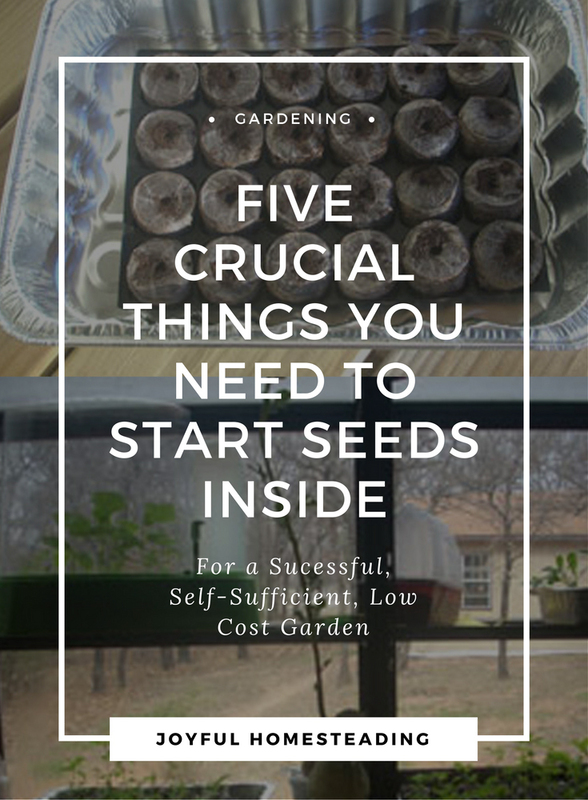 What I have learned about starting seeds inside, is you need five crucial things to start seeds successfully indoors: light, warmth, good soil, good seeds and the right start date. These are what stocks look like. I just wish I could post their smell. You can find the seeds here. This is probably the most critical factor when starting seeds inside. Sufficient light will make the difference between success or having to visit the local greenhouse. Your seedlings will need 12 to 14 hours of direct light each day. If not, then they'll likely be tall and spindly. Not only should your babies have access to light, it should be an intense light, no more than three to four inches away from your plant. 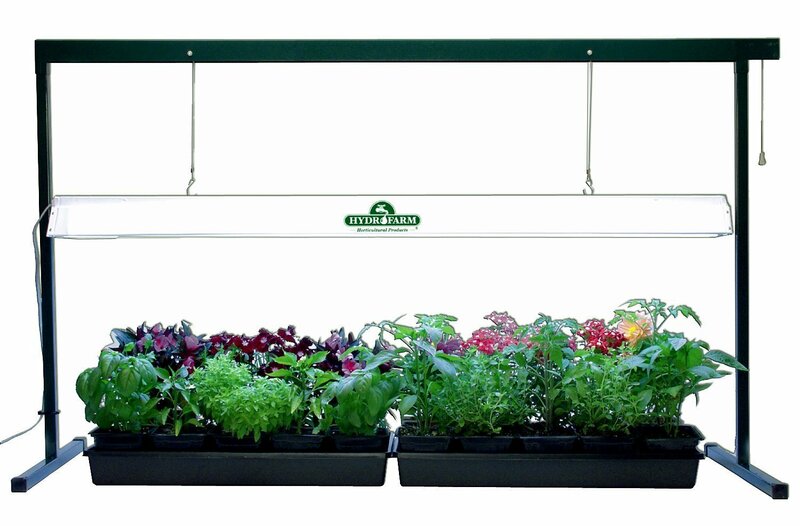 A good grow light system will make your seed starting a success. Find one here. So if necessary, set your pots on boxes to get them closer. As they grow, you can remove the boxes so they don't touch the light. I prefer starting seeds inside in jiffy soil pellets. (See them here.) Once the seeds are up and have put on four leaves, then transfer them to individual pots. Any container will do as long as it can hold moisture and is strong enough to hold wet potting mix. For the soil, seed starting mix will be much easier to use and make for healthier plants. 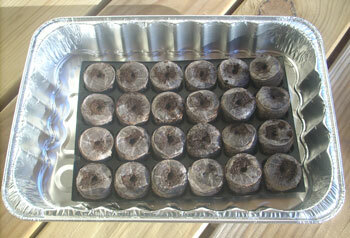 You need to keep the seedlings in a temperature range between 60 and 75 degrees Fahrenheit when starting seeds inside. If it's too warm, your seedlings won't be as strong. And obviously, you need seeds that are viable. If you are using seeds from last year, and you're not sure if they are still good, set a few seeds between two moist paper towels. If the seeds sprout within a few days, plant the germinated seeds. Discard any seeds that don't sprout. When to start them will depend on the type of seeds you are working with. The directions on the back of the package should tell you a good time to plant seeds indoors for your area. Here in the lower Midwest, we can put our tomatoes out in the middle of April, a month ahead of folks up north, so if I were starting tomatoes indoors here in the sunny sooner state, I would start my seeds in January rather than February.